It’s been over a year since audiences at the Sundance Film Festival got the first glimpse at Call Me By Your Name, one of the most lauded films of the last year. While the film didn’t formally open in theaters until late November, word of mouth — and a pair of widely talked about scenes — made Call Me By Your Name a sensation before the majority of audiences had even seen it. In stark contrast to many of the other films up for awards — like Three Billboards Outside Ebbing, Missouri or The Shape of Water — Call Me By Your Name, a quiet, melodic, and beautiful film, has made a lot of noise throughout awards season, earning numerous nominations at the Golden Globes, BAFTAs, Critics Choice Awards, Independent Spirits, and the Academy Awards. Set in 1983 in a small village in northern Italy, the film, which is an adaptation of the novel of the same name by André Aciman, follows bookish 17-year-old Elio Perlman (Timothée Chalamet) as he embarks on a passionate summer love affair with Oliver (Armie Hammer), a 24-year-old academic staying with the Perlman family for the summer. With the Academy Awards right around the corner on March 4th — and the Independent Spirit Awards just a day earlier — time is running out to see it before Hollywood’s biggest night. So can you stream Call Me By Your Name online? We’ve got some good news for you and your peaches, because the answer is YES! You can now digitally stream Call Me By Your Name on sites like Amazon and iTunes, and drop it into your collection of Movies Anywhere. If you’re someone who still likes to buy the hard copy DVD, you can snag Call My Your Name on Blu-ray and DVD March 13th. 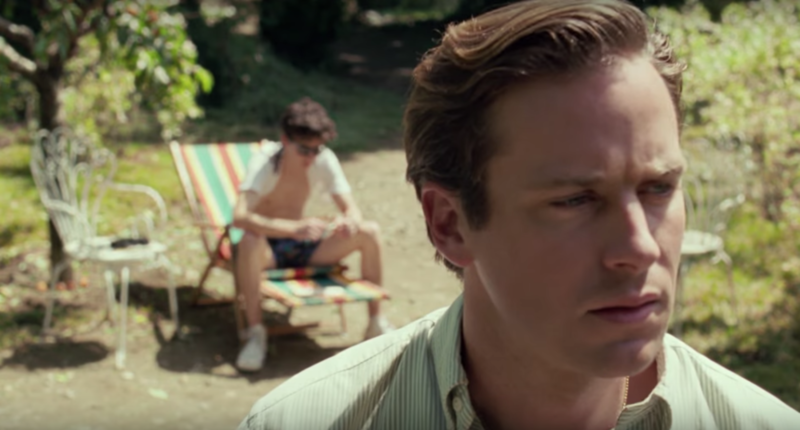 The film is up for four nominations including Best Picture, Best Actor (Timothée Chalamet), Best Adapted Screenplay (James Ivory), and Best Original Song (Sufjan Stevens). The 90th Annual Academy Awards will be held on March 4th beginning at 8 p.m. ET.